At the outset I would like to express that I feel privileged to manage and be a part of Lakshmipat Singhania Public School, Jaykaypur which is one of the best schools of southern Odisha. I am very much thankful to the school staff for smooth running of the School in all the areas like academics, administration and discipline. The students and the parents of the wards of the School are very fortunate, as most of the students who have passed from the School are placed in prestigious organizations in various fields like Engineering, Medicine, Management and Administrative Services and settled in India and abroad. 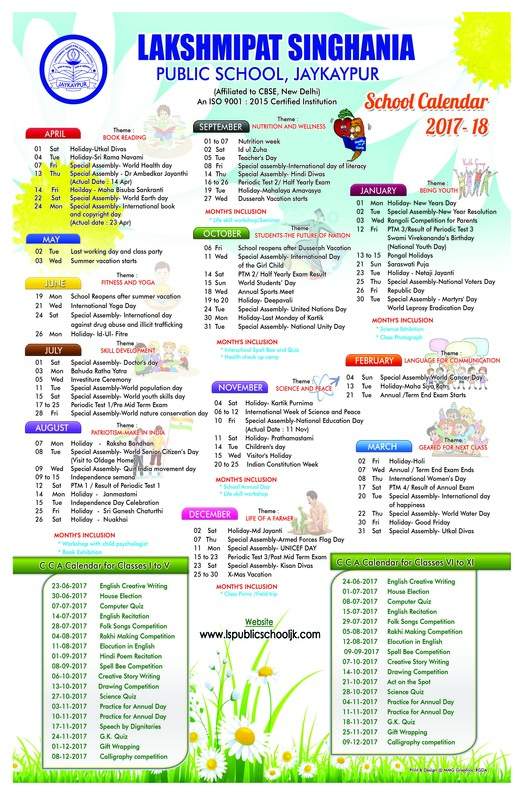 School is focusing not only on academic excellence but also on various extra curricular activities like preparing the students to participate in various Olympiad examinations, participation in International Convention on Students’ Quality Control Circles, Scouts and Guides, Eco-Club activities, State Level and CBSE zonal level Sports Meet etc. My sincere advise to all the students that they have to work hard to face the global competition to survive. Students should utilize the valuable opportunities available at the school to improve not only their academics but also to take part in various other extra curricular activities. I request the teachers to maintain the team spirit and continue their efforts in giving their best to the students to keep the name of the school high and to make them noble citizens of India. Teachers should implement the outcome of various training and orientation programmes arranged for them to enhance the quality of education.